by Prof. Jochem Hauser of 17 January 2017 on the Current Status on Climate Change based on measured and observed data. The talk by Prof. J. H. Hauser on the current status on climate change, given on 17 January 2017, was substantially updated, comprising now one hundred and twenty-three slides, in order to provide a most comprehensive discussion of the latest facts on climate change, including also the evaluation of the recent data manipulations by leading NOAA scientists published in Science, that became known in early February 2017. Most recent experimental findings from CERN, satellite measurements, and sea ice extent data are also covered as well as the impact of the Sun (e.g. total solar irradiation, magnetic field, cosmic rays etc.) on the climate of the Earth. In addition, the influence of the orbital location of the planets on the climate is discussed, too. Predictions from climate models are still not considered (see my remarks from 17 January below). On 16 January 2017 Prof. J. H. Hauser presented the current status on climate change based on the latest experimental data, including recent findings from CERN, satellite measurements, and the impact of the Sun on the Earth climate. Having worked on all kind of fluid dynamics models for more than three decades, I decided not to consider the results of climate models, because they are not reliable enough for the necessary exact quantitative predictions. The talk was aimed at students from various faculties, scientists, but also interested laymen as well as the local press. by Prof. Jochem Hauser, 18 February 2016. On 25 November 1915, A. Einstein presented his revolutionary General theory of Relativity to the Royal Scientific Academy in Berlin that forever changed our view of the nature of space and time. In spite of Einstein's dramatic step forward, gravitation is still the most mysterious force in the Universe. 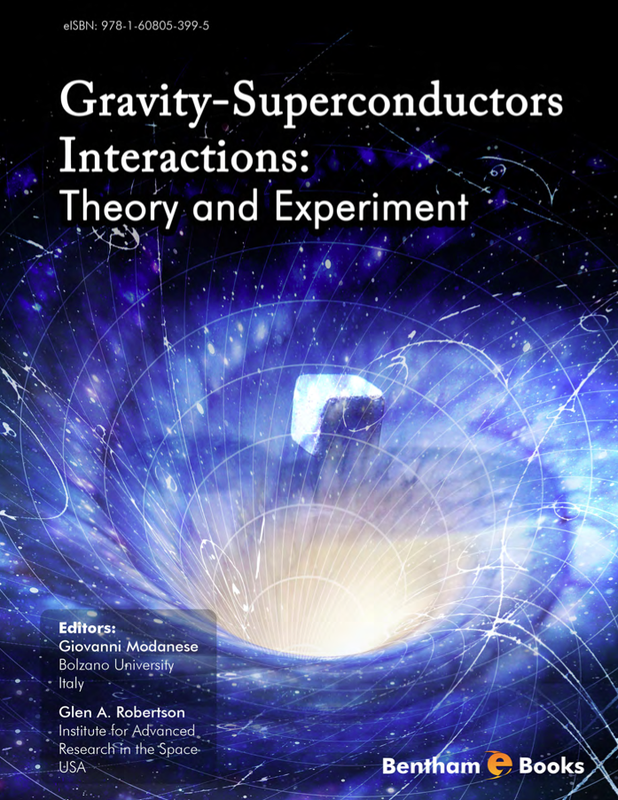 Today, 25 November 2015, celebrating the 100th anniversary of GR, and following Einstein's vision about the existence of an interaction of gravity and electromagnetism,we present this book in an attempt to postulate the existence and to discuss the physics of novel extreme gravitomagnetic fields outside GR. This long sought extension of Einsteinian gravitation, based on the concept of symmetry breaking, has major repercussions both in the field of particle physics and cosmology. As a consequence of this interaction, fundamentally new gravitational phenomena are predicted, which eventually might lead to an entirely novel technology in the form of gravitational engineering. The book, 526 pp., is in full color and has a sewn binding. Substantial care went into its preparation. A color scheme facilitates reading. Two glossaries are helping the reader to understand physical concepts. and can be found by typing the search text Astrophysics, and Cosmology of Gravity-Like Fields in the category foreign books or books, respectively, or just search for Jochem Hauser. An excerpt of the book can be downloaded from the internet using Google search and typing Researchgate Jochem Hauser For questions and comments, please contact Prof. J. Hauser at jh@hpcc-space.de. Primer Cover & Back is downloading the front and back cover of the book. The movie Interstellar (see also the short report by M. Fontez in La Science & Vie, November 2014) turned out to be a blockbuster in the U.S. and Europe, and most likely will be so in Asia. The movie story is great. Without doubt, one of its benefits is the renewed enthusiasm in the science of space flight by the public. But alas, it is only Hollywood's science fiction, not science. The physical reason for this is given in the short note (pdf downloadable) by Prof. J. Hauser. For those who want to learn about novel ideas on the physics of spaceflight without propellant, might wish to have a look at the Journal of Space Exploration, Mehta Press, Vol 3, Issue 2, Nov 2014.
in pdf format may be purchased. Please e-mail your reply to jh@hpcc-space.de . This course provides a step by step introduction with detailed explanation for a thorough orientation in the field of both theoretical and experimental breakthrough propulsion physics and energy generation, derived from the novel concept of gravitational engineering. The physics issues are presented with little mathematics, but are illustrated by numerous diagrams in order to give the reader a chance to progress in this field from the popular to the expert level. Prof. J. Hauser presented the peer reviewed paper entitled On the Reality Gravity-Like Fields at the 48th AIAA/ASME/SAE/ASEE Joint Propulsion Conference and Exhibit, 29 July - 1 August 2012, Atlanta, GA, published by the American Institute for Aeronautics and Astronautics. The abstract and the introduction of the paper can be downloaded here. The complete paper can be ordered from AIAA (use aiaa.org website). Any breakthrough in propulsion or energy generation, in order to become a real game changer, needs to be functioning without fuel. This insight is not new, and was already discussed in the book on space propulsion by Corliss, 1960, termed field propulsion, and was actively researched in industry and academia at that time, however, without success. At present NASA no longer has a manned spaceflight program, but there is a group of adventurous space entrepreneurs who have a keen vision of technology, and, having founded their own companies, are determined to bring man into space at relatively low cost. The only technology currently available results from the physics of classical momentum conservation, as expressed by Tsiolkovskyâ€™s rocket equation of 1904, that cannot be overcome by technical refinement. In order to succeed, the space entrepreneurs need to complement their vision of technology with the appropriate vision of science. A novel physical principle for spaceflight as well as energy generation is needed first, then everything else will fall into place, i.e. the proper technology will follow from this principle. The technology must be feasible, which means that no unrealistic concepts like antimatter, negative energy (wormholes), or spacetime warping etc. should be involved. What could this new physical principle be? Evidently, it has to do with both gravitation and spacetime. This paper therefore discusses the reality of the existence of novel gravity-like fields, not being produced by large static or moving masses. Both experimental and theoretical concepts are presented. To this end, a set of recent eleven experiments was identified that, in some way or another, contradict established physical theories. In addition, the basic concepts of a theoretical approach are presented, termed Extended Heim Theory (EHT), that predicts six fundamental forces, three of them of gravitational origin, including the existence of an interaction between electromagnetism and gravitation. (Eds. Giovanni Modanese, Univ. of Bozen, Italy and G. A. Robertson, Institute for Advanced Research in the Space, U.S.A.) was published by Bentham Science Publishers (www.benthamscience.com). In the foreword, written by J. H. Hauser, the publisher has decided, without further consultation, to change the name of Wernher von Braun into Werner von Braun, obviously being unaware that Wernher is the correct first name of Prof. von Braun. In Chap. 11, pp. 269-319, entitled: Emerging Physics for Gravity-like Fields, W. Droescher and J. H. Hauser present both experimental and theoretical evidence for gravitational engineering that is, the generation of laboratory generated gravitational fields. Extreme gravitomagnetic fields might be generated through a phase transition at cryogenic temperatures, triggering the conversion of electromagnetic into gravitomagnetic potentials. The physical model for this process is presented and the technology ensuing from this novel physical interaction with regard to propellantless propulsion, direct energy generation, and transportation in general is discussed. The foreword by J. H. Hauser and the introduction to Chapter 11 can be downloaded here. (shortened version of this presentation can be downloaded here)). This article (actually published in March 2012) appeared in the journal: International Review of Aerospace Engineering - October 2011 (Vol. 4, N. 5), pp. 287-306. Since the copyright was transferred to the journal, our article needs to be directly obtained from the journal website www.praiseworthyprize.com (the abstract of the article is available online). The introduction of the paper is available here. For comments or questions please contact Prof. Jochem Hauser. On 15 Dec. 2011, Prof. J. Hauser gave an introduction to the Physics of Propulsion from Gravity-Like Fields (shortened version of this presentation can be downloaded here) at the Institut fÃ¼r Lufttransportsysteme (ILT) of the DLR in Hamburg-Harburg, Germany. 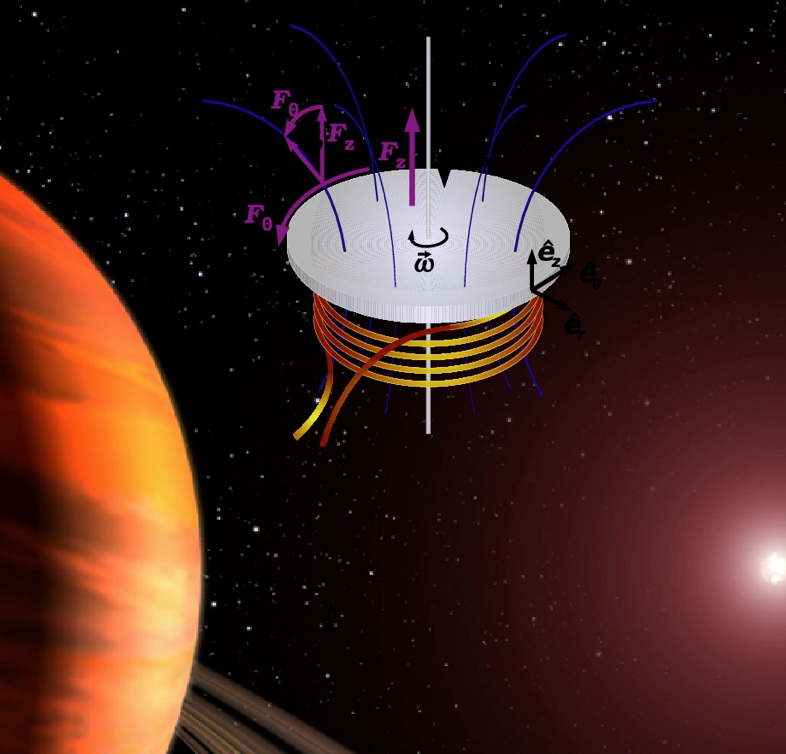 There is both substantial theoretical and experimental (Tajmar 2006-2011, Graham, and possibly Gravity Probe-B) evidence that extreme gravitomagnetic and gravity-like fields might exist, not predicted by any of the so called advanced physical theories. Thus, the current belief in the existence of exactly four physical forces might have to be extended, in particular, with regard to recent experiments. For instance, concerning special relativity (CERN OPERA superluminal neutrino speed) as well as general relativity (rotational speed of stars in gas rich galaxies and dark matter, S.S. Mc Gaugh, Maryland). Also, the so called physics beyond the standard model of particle physics like supersymmetry, string theory with 10 or 11 dimensions, multiverse etc. might not reflect physical reality, since the Large Hadron Collider, except for the possibility of a Higgs boson at about 125 GeV, has not found any new particles up to 600 GeV. Furthermore, the ESA Integral satellite measurements invalidate predictions from quantum gravity. In addition, the computer experiments by Loll, Ambjorn et al. require a repulsive gravitational force (in form of Einstein's cosmological constant) for a four-dimensional spacetime to evolve and seem to favor a de Sitter topology. Last but not least, the question of the speed of gravity does not appear to have been settled (van Flandern 1998, Rowlands 2007 etc.). In conclusion, there is evidence that gravity is more than simple Newtonian gravitation, and perhaps attractive and repulsive gravitational forces exist. It is possible that an interaction between gravitation and electromagnetism at cryogenic temperatures occurs, as indicated in recent gravitomagnetic experiments. So far, a set of ten experiments was identified that have the potential to lead to novel physics not covered by mainstream theoretical concepts. As a result of these experiments, novel particles and fields might be required in conjunction with different types of matter, leading to new technologies in (space) transportation and direct energy generation. Prof. J. Hauser presented the peer reviewed paper entitled Physics of Axial Gravity-Like Fields at the 47th AIAA/ASME/SAE/ASEE Joint Propulsion Conference and Exhibit, 31 July - 3 August 2011, San Diego, CA, published by the American Institute for Aeronautics and Astronautics, and also discussed the current status of the physics of propellantless propulsion and direct energy generation at the meeting of the Technical Committee on Future and Nuclear Flight. Talks on advanced space propulsion were held with Prof. P. Papadopoulos, San Jose, co-founder of the Silicon Valley Space Center (link). Physics finally at crossroads? Based on novel experimental facts that is, apart from the mysterious dark matter and dark energy, whose existence is in contradiction to both GR and the Standard Model of particle physics, there are several recent fundamental experiments contradicting GR and/or leading particle theories: McGaugh, Februray 2011 (Newtonian gravitation, rotational speed of stars), experiment is in contradiction to GR. LHC experiments up to a center of mass energy of 700 GeV have not detected any new particles (July 2011), in contradiction to all theories that propose an extension of the Standard Model of elementary particles like supersymmetry, string theory, superstring theories etc. Furthermore, ESA Integral satellite results (30 June 2011) are placing stringent limits on the size of atoms of space and time, which seems to be in contradiction to all theories predicting a dependence of the polarization of light in vacuum on frequency ν, e.g. quantum gravity etc. Since the copyright was transferred to the journal, our article needs to be directly obtained from the journal website www.praiseworthyprize.com (the abstract of the article is available online). The e-book entitled Gravity 2.0, Design Strategies for a Gravity Modified World (check at www.barnesandnoble.com and amazon.com or www.gravitymodification.com for those who do not have Kindle or Nook ebook readers), was published by Gregory Daigle, former professor of industrial design and practicing designer. 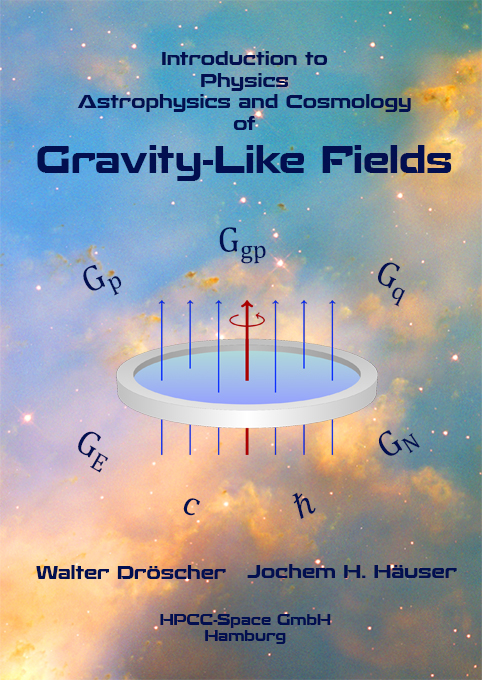 In my opinion this book is a very well written non-mathematical introduction to recent extreme gravitomagnetic and gravity-like field experiments and on theoretical ideas postulating six fundamental forces, which includes our own approach termed Extended Heim Theory (EHT). G. Daigle then proceeds to explain the most timely and exciting aspects of gravitational engineering, for instance, possible alternatives for cleaner energy generation as well as transportation in general and, in particular, space propulsion. This book can be recommended to anyone who is interested in novel technologies based on emerging alternative physical concepts of gravity. The contagious enthusiasm of Daigle's exposition is making his topics easily accessible to a wide audience requiring serious information, but he does not fail to instruct the reader that this exciting research is both ambitious and speculative. The table of contents along with the introduction can be downloaded to convey the flavor of Gravity 2.0. The paper entitled Coupled Gravitational Fields A New Paradigm for Propulsion Science, was presented at the 46th Joint Propulsion Conference & Exhibit, 26-28 July 2010, Nashville, TN, and published as paper AIAA-2010-NFF-1 by the American Institute for Aeronautics and Astronautics. The paper was given by Len Japngie, Washington, D.C. In this work progress is reported on the understanding of the physical mechanism of the conversion of electromagnetic into gravitational fields which seems to be the key to the experimentally produced extreme gravitomagnetic fields that are clearly outside general relativity. A detailed discussion of conservation principles is also performed. Furthermore, by applying the concept of three gravitational fields, it is argued that, in contrast to the circumferential gravity-like fields observed in the experiments at AIT, gravity-like fields of substantial magnitude acting parallel to the axis of the rotating cryogenic disk may be producible that have the potential to establish a propellantless space transportation technology, but also may have significant repercussions for earth bound transportation systems in general as well as green energy generation. The paper entitled Emerging Physics for Novel Space Propulsion Science was presented at SPACE,PROPULSION & ENERGY SCIENCES INTERNATIONAL FORUM SPESIF-2010 at John Hopkins University Applied Physics Laboratory, 23-25 February 2010 and published by the American Institute of Physics. The paper discusses the application of novel gravity-like fields to space propulsion and compares theoretical results for theses fields with experiments of Dr. M. Tajmar et al. at the Austrian Institute of Technology. Prof. J. Hauser presented the paper entitled Gravitational Field Propulsion (AIAA 2009-5069, 20 pages) at the 45th Joint Propulsion Conference, 2-5 August 2009, Denver, CO organized by the American Institute of Aeronautics and Astronautics. The phenomenological physical concepts presented at the meeting, summarized under the name of Extended Heim Theory, EHT, predict two groups of matter. The first group, ordinary matter (OM), is describing all messenger particles (gauge bosons) that is, graviton, photon, vector bosons, and gluons as well as all known types of matter, i.e., leptons and quarks. The gauge bosons comprise the four known fundamental forces. However, these forces are not sufficient to explain the results observed in the gravitomagnetic experiments at AIT (Tajmar et al. ), Austria, nor do they account for dark matter or dark energy. The second group, derived from the construction of the so called polymetric tensor of EHT, comprises non-ordinary matter (NOM), which is matter in the form of imaginary electrons, positrons, or quarks (virtual particles of imaginary mass, but real charge) as well as stable neutral leptons, which might be identified with dark matter. It is surmised that charged imaginary particles might be generated at very low temperatures (phase transition), and subsequently be transformed into the three gravitational particles postulated by EHT, namely the gravitophoton (resulting from photon conversion), the graviton (attractive, which accounts for Newtonian gravitation), and the quintessence particle (repulsive, which might be associated with dark energy). This interaction of electromagnetism with gravitation might be the cause for the measured strong gravitomagnetic fields that are about 18 orders of magnitude larger than predicted by general relativity, and thus are outside general relativity. Note: Page 6, Table 3 mentions the Higgs field. New considerations lead to the conclusion that six Higgs and six anti-Higgs fields should exist, represented by the group O(2,q) where q denotes quarternions. page 18: The electric current should be 8 A instead of 13.6 A. The mass of 3.5 x 103 kg is the mass placed above the rotating disk. The total spacecraft mass is assumed to be 150 x 103 kg. Dr. Hauser delivered a lecture entitled Emerging Physics for Novel Field Propulsion ( Flyer, LectureTitlePage, LectureSummary) at the Aerospace Museum of California, McClellan, CA on invitation of the American Institute of Aeronautics and Astronautics (AIAA) Sacramento Chapter. EHT (Extended Heim Theory) postulates the existence of six fundamental interactions (three of them of gravitational nature, both attractive and repulsive) as well as the existence of ordinary and non-ordinary matter. NOM particles may be virtual particles of imaginary mass and real charge or particles of negative energy density (generated in pairs) and there may also be neutral leptons (e.g. a neutral tau particle might exist, possible candidate for dark matter particle around 1.8 GeV ?). Interaction field propulsion would be one application for space flight, but the generation of green energy based on the two additional gravity-like fields (as might have been observed in the experiments at ARC, Seibersdorf, Austria by Dr. Tajmar et al.) may be an even more rewarding option. In the article on Advances in Breakthrough Propulsion Physics, published by the Nuclear and Future Flight Committee of the American Institute of Aeronautics and Astronautics in Aerospace America, December 2008, p. 59, the recent work on Extended Heim Theory (EHT) of W. Dröscher and J. Hauser is briefly described. The picture on p. 59 shows the postulated six fundamental forces. Three of these forces are of gravitational nature and may be both attractive and repulsive. The postulated interaction between electromagnetism and gravitation might be responsible for the strong gravitomagnetic fields as well as gravity-like (acceleration) fields observed at ARC Seibersdorf by Tajmar et al. According to EHT, a vertical gravity-like field (that is acting along the axis of the cryogenic rotating ring or disk) might be producible. If such a field existed, it could be directly usable as a propellantless space propulsion device, but also might be applicable in energy generation, and could aid in the stabilization of fusion plasmas (e.g., magnetic mirror). Prof. Jochem Hauser presented three invited lectures at the two European meetings PET08, 1st Peer Training (for young researchers), 21-22 October 2008 and MASCOT08, 8th Meeting on Applied Scientific Computing and Tools, 23-25 October 2008, held at the Instituto per le Applicazioni del Calcolo (IAC)-Centro Nationale di Ricerca (CNR), Viale del Policlinico 137, Roma, Italy. The conference programs can be downloaded: PET08 and MASCOT08. If you are interested in obtaining individual lectures, please contact Dr. Rosa-Maria Spitaleri IAC. The conferences were sponsored by IMACS (International Association for Mathematics and Computers in Simulation, Profs. R. Beauwens, R. Vichnevetsky) and ISGG (International Society of Grid Generation, Prof. Bharat Soni). IMACS News gives a brief summary of the conferences. The title pages of the three lectures can be downloaded: ESA-Expert, DSMC-Monte-Carlo, and Magneto-Hdyrodynamics. To obtain a copy of the presentations please contact Jochem Hauser. Novel paper (AIAA 2008-5124, 19 pages) on field propulsion was presented at the 44th Joint Propulsion Conference, 20-23 July, Hartford, CT organized by the American Institute of Aeronautics and Astronautics. Dr. Häuser also gave a presentation to the Technical Committee for Nuclear and Future Flight on 20 July. Our analysis (not yet published) based on EHT of the recent experiments by Tajmar et al. as of June 2008 suggests that the effects measured are not due to liquid He. Search for Frame-Dragging-Like Signals Close to Spinning Superconductors, gr-qc/0707.3806v8, Time and Matter 2007 Conference. The comments concern mechanical friction that is how the evaporating Helium might influence the output of the gyrometers by causing additional torque. During the last 18 months substantial progress has been made in the generation of gravity-like fields. This concerns both experimental as well as the encompassing theoretical research. The experiments by M. Tajmar, first announced on ESA's webpage on 23 March 2006, have lead to a paradigm-shift whose key elements seem to be based on condensed matter phenomena. Recently, US aerospace industry has decided to conduct a study to explore the technical possibilities of gravity-like fields. This text, therefore, is written to serve as a timely non-technical introduction to tell about both the novel experiments and the novel theoretical background. In order to answer numerous e-mails that posed similar questions and to clarify some misconceptions, check the text below as well as the Nutshell Summary attached. We regret, but it is not always possible to answer all e-mail messages personally because of time constraints. The Nutshell article gives a summary in non-mathematical form of the current experimental and theoretical state of the art in the research of novel gravity-like fields (also noted as artificial gravitational fields). These fields are of particular interest in (space) transportation, because they could serve as enabling technology for a completely different transportation principle. In addition, ground transportation might not need wheels anymore. This article was also written on the request of the chairman of the Committee of Nuclear and Future Flight Propulsion (NPFF) of the American Institute of Aeronautics and Astronautics (AIAA), and was sent to committee members on 31 August 2007. The Nutshell article aims to clarify the relationship between the experiments of the group of M. Tajmar, ARC Seibersdorf, Austria, and the recent set of experiments of R. D. Graham et al., University of Canterbury,Christchurch, New Zealand. It is a misconception to assume that there is a contradiction between these two sets of experiments! Their papers need to be read completely, not only the introduction! In both cases a gravitomagnetic field was measured, about 30 orders of magnitude higher than predicted by the Lense-Thirring effect of general relativity. Although the term super frame dragging is used in these papers, it is a misunderstanding to attribute the experimental results to the phenomenon of frame dragging! The denotation super frame dragging needs to be understood in its historic context, because, when experiments began in 2003 at ARC, it was believed that the concept of frame dragging could be utilized to explain results. Since the phenomena observed are about 30 orders of magnitude higher, they are clearly outside general relativity, and cannot be explained by frame dragging. It should be noted that there is also a third experiment, namely the NASA-Stanford Gravity Probe B experiment, which deserves to be investigated. In this experiment two pairs of niobium coated superconducting rotating quartz spheres (gyros, 38mm diameter) are used. If the effects measured by Tajmar and Graham are real, a spin-spin interaction between two rotating gyros should have led to a large (compared to frame dragging) spin drift. The Nutshell article also describes theoretical (http://www.hpcc-space.de/publications ) physical models, utilized to compute the observed effects and to describe the (novel) physics behind these phenomena. This is the final conference program for the 10 th Numerical Grid Generation Conference, 16-20 September 2007, FORTH Crete, Greece This is now the 10 th Numerical Grid Generation Conference, co-organized by Prof. Häuser which was started by him in 1985. The field has emerged substantially since these 22 years, but the problem of automated grid design for complex geometries remains as a major challenge and the most time consuming part in the field of computer simulation. Please check our web page for the publication of the proceedings, in case you cannot attend the conference. Looking forward to seeing you on Crete! In two recent papers M. Tajmar et al., ARC Seibersdorf , Austria (27 July, 2007, http://arxiv.org/abs/0707.3806) and R.D. Graham et al. (6 July 2007, www2.phys.canterbury.ac.nz/~physrin/papers/SuperFrameDragging2007.pdf) University of Canterbury, Christchurch, New Zealand have reported measuring artificial gravitational fields (AGF), generated by a rotating superconducting niobium ring and lead disk, respectively. The effect occurred, when the ring or disk were subjected to angular acceleration. Since measured signals were about 30 orders of magnitude larger than predicted from the frame dragging effect of general relativity (GR, Lense-Thirring 1918, see also Gravity Probe B experiment), GR cannot be used to explain these experiments. The AGF had rotational character, pointing in the circumferential direction of the ring or disk. A theoretical explanation is given in our recent AIAA 2007-5595 paper (8 July 2007). Our theory is termed Extended Heim Theory (EHT), since the geometrization principle of the late German physicist B. Heim (1952, the Italian mathematician B. Finzi suggested a similar principle in 1955) is employed. EHT leads to six fundamental forces in Nature. Moreover, as outlined in the paper, according to EHT, a modified experiment should result in an AGF directed along the axis of rotation, while the disk is rotating at constant speed. If this proposition turns out to be true, a revolutionary space propulsion technology could be possible. Furthermore, the field of transportation in general would be changed dramatically. However, before any final conclusions can be drawn, substantial additional research in both experiment and theory is needed. Extraordinary claims need extraordinary proof! As co-chairman of the 10th ISGG Grid generation Conference on Numerical Grid Generation, September 16-20, FORTH, Crete, Greece you are encouraged to attend this event. In case you wish to submit an abstract, please send it directly to Prof. Jochem Hauser, jh@hpcc-space.de, by 21 July 2007. In its 15 May 2007 issue the well known German weekly paper Die Zeit published an article (http://images.zeit.de/text/2007/21/T-Antigravitation) entitled Das Ende der Schwere (The End of Gravity) reporting about the recent experiments by Dr. M. Tajmar and his colleagues, ARC Seibersdorf, Austria on the generation of artificial gravitational fields (AGF). We would like to point out that this article contains the same two misconceptions as the previous article published by the magazine PM, see our remarks from 20 March. We believe that there is a good chance that Dr. M. Tajmar (an excellent experimenter and serious scientist) and his colleagues are correct, having actually produced AGFs, also termed gravito-magnetic field (GMF), in the laboratory. In contrast, the work by Podkletnov, who is also mentioned in the Zeit article, has no credibility at all. The Zeit article, however, misses the point on two aspects. First, the artificial gravitational field as measured by Dr.Tajmar et al. is produced by a small, rotating superconducting Niobium ring, being subjected to angular acceleration or deceleration that is, its angular frequency (rpm) changes. Only while the ring is accelerated or decelerated, the AGF exists. The AGF measured lies in the plane of the rotating superconducting ring, has rotational character and is acting against the mechanical acceleration, obeying some kind of gravitational Lenz rule. In other words, the AGF tries to slow down or to speed up the ring, respectively. It therefore cannot be used as a propulsion principle for a UFO as mentioned in the Zeit article. Second, as we also wrote in our remarks concerning the PM article, General Relativity cannot be used to explain the existence of the AGF as measured by Dr. Tajmar. The so called frame dragging phenomenon, as predicted by GR, is more than 20 orders of magnitude smaller, and cannot be observed in the laboratory using the small mass of the superconducting ring. New physics would be needed to explain these experiments. Since 2002 we published several papers on a theory termed Extended Heim Theory (EHT) that predicts six fundamental forces in Nature (two additional gravitational interactions that may be responsible for dark matter and dark energy). EHT was used to analyze Dr. Tajmar's experiments, and good agreement between EHT and experiment was obtained (see our note from 23 April). Moreover, EHT provides additional guidelines for a so called gravito-magnetic space propulsion experiment. If EHT is correct, the AGF generated in this experiment would be directed along the axis of rotation of the disk or ring rotating with constant angular frequency. If this experiment turns out to be true, then it would be justified to write about The End of Gravity. Prof. J. Hauser presented an invited paper on the Current Status of Gravito-Electromagnetic Research (This version of paper O-42 has been slightly corrected with regard to the submitted one) at the 7th Launcher Symposium in Barcelona, Spain, 2-5 April 2007. The paper number is O-42, 18 pages. The paper presents both recent theoretical and experimental results in the novel area of propulsion research termed gravito-magnetic field propulsion comprising the generation of artificial gravitational fields that could lead to propellant- less propulsion technology. These experiments were performed Â by M. Tajmar and colleagues from ARC Seibersdorf, Austria and C. de Matos from ESA, and recently (February 2007) were repeated with increased accuracy. Extended Heim Theory (EHT), published in a series of papers since 2002, predicted the existence of such an effect, resulting from a proposed interaction between electromagnetism and gravitation. In EHT, which is a consequent extension of Einstein's idea of geometrization of all physical interactions, the concept of poly-metric developed by the German physicist B. Heim is employed. As a consequence of this geometrization, EHT predicts the existence of six fundamental interactions. In its March 2007 issue the popular German magazine P.M. published an article on the experimental generation of artificial gravitational fields. The experiments were conducted by Dr. Martin Tajmar (URL Tajmar) and his colleagues at the Austrian Research Center in Seibersdorf , close to Vienna. If Dr. Tajmar and his colleagues are right, an artificial gravitational field, termed gravito-magnetic field, would have been generated for the first time in the laboratory. Dr. Tajmar is known as a scrupulous experimenter, and has repeated these experiments with increasing accuracy over the last three years. There is, therefore, a high probability that his work may turn out to be correct. The article is, however, incorrect in two aspects, namely General Relativity cannot be used to explain the artificial gravitational field measured by Dr. Tajmar. The so called frame dragging phenomenon, as predicted by GR, is more than 20 orders of magnitude smaller, and cannot be observed using a small test mass on earth. Second, his experiment cannot be used to build a space propulsion system, since the artificial acceleration field is in the plane of the rotating superconducting Niobium ring that is, in circumferential direction only. Furthermore, it only occurs when the rotating ring is subjected to angular acceleration, and acts against this acceleration, obeying some kind of gravitational Lenz rule. From the theoretical side, Extended Heim Theory (EHT), see our News of 10 April and 24 August 2006, has predicted such an effect as an outcome of six fundamental forces in Nature (two additional gravitational interactions), and also can be used to devise an experiment that would serve as a demonstrator for a gravito-magnetic propulsion system, i.e., the force would be in the direction of the rotating ring or disk. Preprint of peer reviewed paper AIAA-2007-1112 to be presented at 45th American Institute of Aeronautics and Astronautics (AIAA), Aerospace Sciences Meeting and Exhibit, 8 - 11 Jan 2007, Reno, NV, USA. The paper describes the integration of an Euler solver and MHD solver with the JUST (Java Ultra Simulator Technology) multi-physics platform and shows 2D and 3D results for multi-block domains.